Should You Communicate Only With Your Smartphone? Computers use face scanning software to identify a person by mapping their facial features and comparing that information with a database of faces. Facial recognition technology is quickly becoming the most secure and reliable tool for user authentication. How Does Face Scan Technology Work? Facial recognition systems use a number of measurements and technologies to scan faces including thermal imaging, 3D face mapping, cataloging unique features (also called landmarks), analyzing geometric proportions of facial features, mapping distance between key facial features, and skin surface texture analysis. Facial recognition technology falls under the category of biometrics, or the measurement of biological data. Other examples of biometric technologies include fingerprint scanning and eye/iris scanning systems. 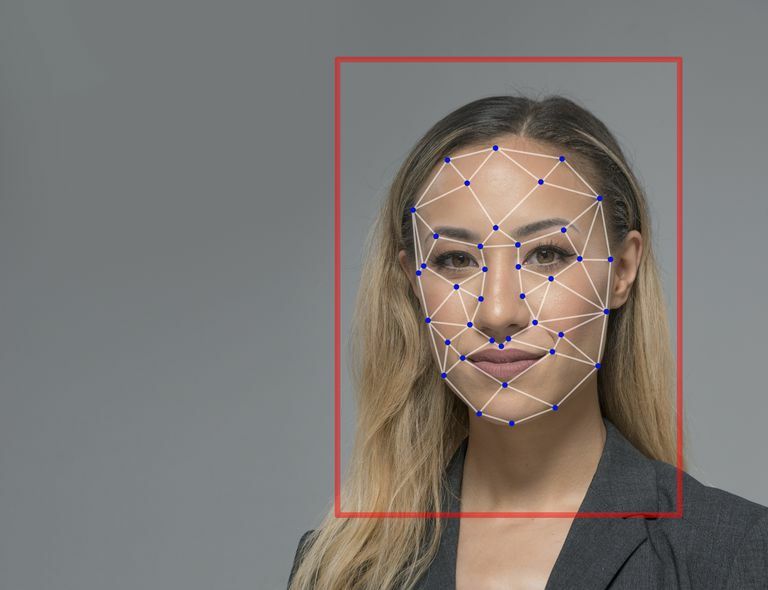 Facial recognition software has a variety of applications, but it's most commonly used for security and law enforcement purposes. Airports use facial recognition software to search for individuals suspected of crimes and also to compare passport photos with in-person faces to confirm identities. Law enforcement agents use facial recognition software to identify and apprehend people who commit crimes. Several states use facial recognition software to prevent people from getting fake identification cards or driver’s licenses. Some foreign governments have even used facial recognition technology to crack down on voter fraud. Facial recognition loses accuracy when the person is wearing items like glasses, hats, scarves, or hairstyles that cover part of the face. Makeup and facial hair can also pose issues for face detection programs. Facial scans don’t necessarily connect with a profile, meaning that a scan of a person’s face may not be useful if there are no photos of them in an accessible database. Without a match, the identity of the person behind the face scan can remain a mystery. Concerns over privacy or security can also pose limitations for how facial recognition systems are used. For example, scanning or collecting facial recognition data without a person’s knowledge and consent violates the Biometric Information Privacy Act of 2008. Facial recognition technologies can be exploited for nefarious purposes. 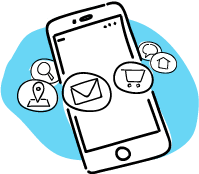 For example, facial recognition data that positively matches online photos or social media accounts could allow identity thieves to gather enough information to steal a person’s identity. Facial recognition is a growing part of our everyday lives through devices and applications. For example, the Facebook facial recognition system, DeepFace, can identify human faces in digital pictures with up to a 97 percent accuracy rate. Apple has also added a facial recognition feature called Face ID to the iPhone X. Face ID is expected to replace Apple’s fingerprint scanning feature, Touch ID. It stores a mathematical representation of your facial scan in a secure location on the device itself; the information doesn’t get copied or stored on Apple’s servers. Face ID uses depth perception and infrared sensors to ensure that the camera is scanning your actual face and not a photo or 3D model. The system also requires your eyes to be open, which prevents another person from unlocking your phone while you are asleep or unconscious. Apple has cautioned that identical siblings (twins, triplets) would be able to unlock each other’s phones. Even without an identical sibling, Apple has estimated that there is approximately a one-in-a-million chance that the face of a complete stranger will have the same mathematical representation of their facial scan as you do. Children under 13 are not good candidates to use this technology because their faces are still growing and changing shape. Android and laptop users can download several apps that add facial recognition capabilities to their device, but none of them are as reliable as Face ID. Options include True Key by McAfee and Face Lock Screen. As the technology improves, expect to see more devices with built-in facial recognition features.